Young Ghanaian Graphic Designer Richard Berko has lauded the new logo of the Ghana Premier League insisting it is 70% apt and needed some few additions to make it excellent. Berko who worked with Kotoko Express as a Graphic Designer and now operate the Kotoko News portal believes the new logo is better than many logos of some major European leagues including the German Bundesliga. Speaking to GHANAsoccernet.com, Berko rated the new logo 70% and called for some additions to make the logo tops all. "After going through the principles of designing a logo... I will give it 70," he said. "It's Simplicity is apt. Eg. The Nike logo. "It is memorable, thus keeping it simple yet appropriate. Eg. The McDonald's logo. "But it doesn't fulfil the principle of timeless. The question about timeless is whether this logo can still be effective in 10 years, 20 years, 50 years," Berko noted. The promising designer also questioned the versatility of the logo. "Versatility? Will the logo be effective when printed in reverse colour? One way to create a versatile logo is to begin designing in black and white. This allows you to focus on the concept and shape, rather than colour, which is subjective in nature," he advised. He, however, warned that the financial considerations of a very colourful logo must not be forgotten. "Also keep in mind printing costs: the more colours you use, the more expensive it will be for the business over the long term. He also lauded the positioning of the logo but questioned the position of the text claiming it should have been placed on the side to reduce the font size. "My problem here, however, is where the texts were placed," he concluded. 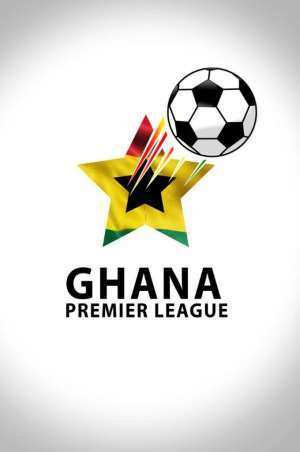 Following the launch of the 2017/18 Ghana Premier League logo, there have been several comments denigrating the new logo but the expert thinks otherwise.